What exercises should metal detectorists do to keep fit? Well, there are several exercises that can help keep us fit and in shape. Metal Detecting is a sport like any other sport, so we have to keep ourselves is shape so that we can endure those long hunts. Here are a few short videos that demonstrate a few stretching and strengthening exercises that you may or may not know about. In this video Chiropractor Dr. Neil King*, demonstrates some simple exercises that you can do before you go out Metal Detecting. 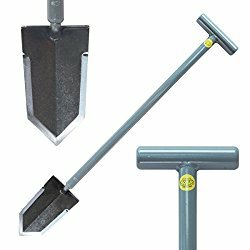 These exercises will prepare your body for a day of swinging a metal detector and doing multiple squats while digging. These videos shows simple ways to warm up your shoulders and hips, as well as help improve your posture. The shoulder is comprised of small muscles that get worked pretty hard during a day of metal detecting. A few simple exercises in this video will help you stretch and relax the muscles in the internal and external rotator cuffs. No weights are required for these exercises. Lastly, the legs get a full day’s workout while treasure hunting. There are a few exercises that you can do before you go out that can help you strengthen your legs and help you work the deep muscles in your hips and thighs. Dr. King also demonstrates an exercise to help loosen the lower back muscles. Just 10-15 minutes of doing these simple exercises before a hunt can make a huge difference. Your muscles and tendons will become looser and your body will build more endurance. Over time, you will improve your posture, strengthen your supporting muscles and be able to metal detect longer than ever before. With any exercise program, you should always ease into it and go slow at first. Concentrate on good form first, then after you become stronger you can add a weight training regiment to your program if you decide to. The information provided here is for informational purposes only, and you should always consult your physician before any rigorous exercise program. Hope these exercise help you hunt longer and find more goodies! *Doctor Neil King of King Chiropractic in Maryland. With offices in Potomac, Gaithersburg, and Urbana, Doctor King and his staff have been rehabilitating sport and spinal injuries since 1984. A Washingtonian Magazine Top Sports Doctor, instructor for the National Sports Professionals Association, and lecturer at the National War College each year, Doctor King’s mission is for people to feel and look their best. This entry was posted in Doing Good, Metal Detecting, Metal Detecting Tips and tagged arkansas metal detecting, exercise for metal detecting, exercises for metal detecting, metal detecting, metal detecting articles, metal detecting blog, metal detecting exercise, metal detecting tips. Bookmark the permalink. You, sir, rock! My posture is atrocious. I’ll start incorporating these into my lifestyle. Thanks!!! Glad you found some of the info useful! Hope it helps everyone! Thanks for reading.